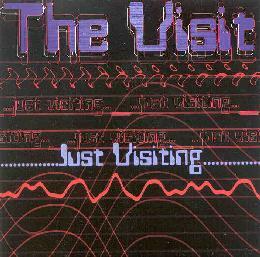 The Visit - "Just Visiting"
Yet another band from Portland, Oregon! I can't keep up. The Visit's debut is a 3-song CDEP of adventurous pop tunes. 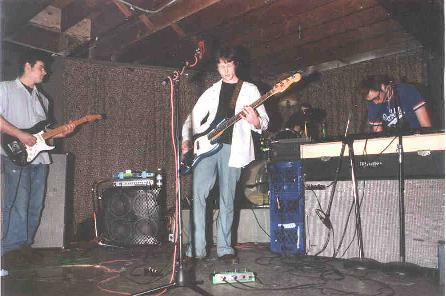 The band consists of Jayson Hochan on bass and vocals, Jonny Love on keyboards and vocals, Tyler King on guitar and vocals, Wallace Brown on piano, and Micos Long on drums. 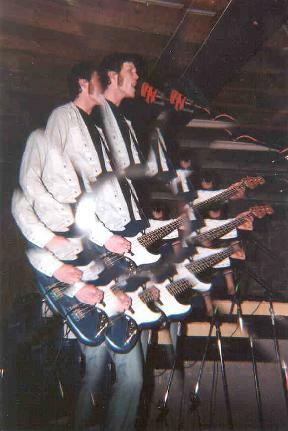 Of interest to Aural Innovations readers is that these songs were produced by Mr King Black Acid himself Daniel Riddle who also guests on guitar and percussion. "The Waltz" is a melodic guitar and piano assault with good vocals and a solid combination of pop sensibility and heavy rock intensity. This is a pop tune, but the music is embellished by freaky space guitar bits that give it a sense of adventure. "Space Monkey" is a ballad about a monkey that goes up into space because the craft isn't big enough to hold a human. It starts out a bit sappy, but I got a kick out of the lyrics. "Oooooh, you're just a space monkey... monkey in the stars. They're feeding you dehydrated ice cream..." But it soon starts to rock out sounding like a cross between John Lennon and David Bowie. The guitars briefly rumble and pulsate and it sounds like there's a few bits of trippy synth lines. Finally, "Don't Lose Your Head" is a soft pop tune with really nice piano and guitar melodies. But there's an instrumental segment that sees the band moving in a spacey prog rock direction with a dark guitar solo, violin, an angelic choir, and all-around majestic orchestral atmosphere. In summary, The Visit manage to create solid pop music that is neither bland nor predictable. They're clearly looking for wide appeal, but haven't forsaken whatever more adventurous influences they might lay claim to. For more information you can email The Visit at youarewithus@yahoo.com. Photos by Roger S. Neville-Neil.